by gillian claire: Simple Ways to Have Fun with the Family! Simple Ways to Have Fun with the Family! Sponsored Post: This post is sponsored by the Goldfish brand but the content and opinions expressed here are my own. This is definitely the busiest season of family life for us so far. Even though Roman and Asher are both in school now, it hasn't seemed to slow anything down! Just being a working mom and taking care of two wild and rambunctious growing boys seems to be enough to wear me out each and every day. We have always relied on simple ways to connect as a family. There is so much pressure on parents to spend a lot of money and attend exciting planned activities to give our children a happy childhood, but I have found that kids don't need much to have fun and feel loved. Here are 6 simple, inexpensive things that have been my go to ways to have fun with my kids over the years! 1. 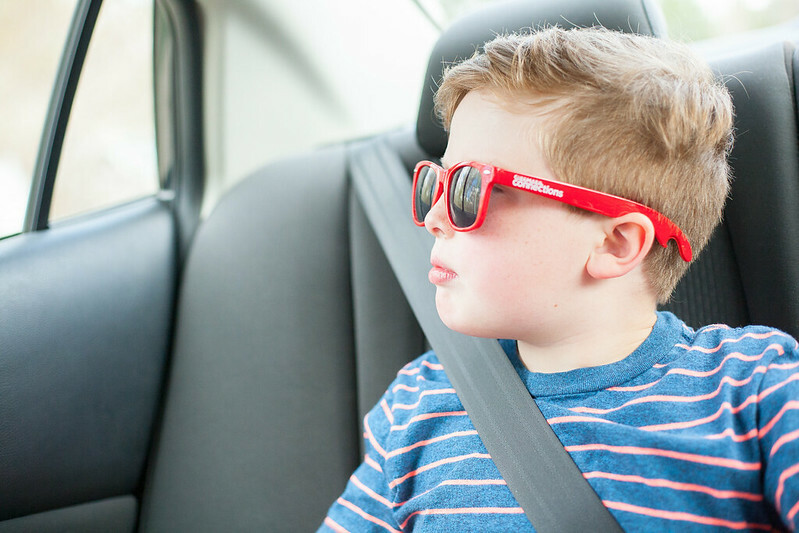 Take a Drive: Going for drives has always been a thing for our family. I think it started when Roman was a baby and we realized on weary nights that a nice long drive at night would put him to sleep much faster and easier! 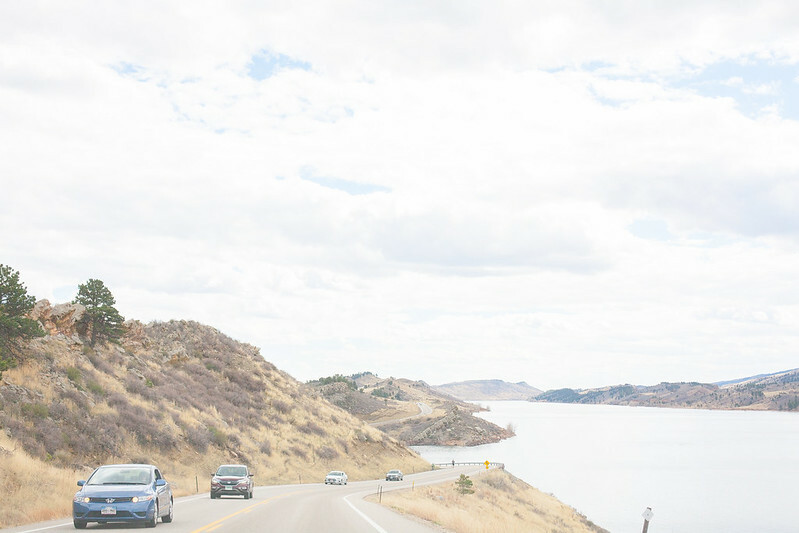 Now that we live in Colorado, drives are even more enjoyable and fun because, well mountains - duh. 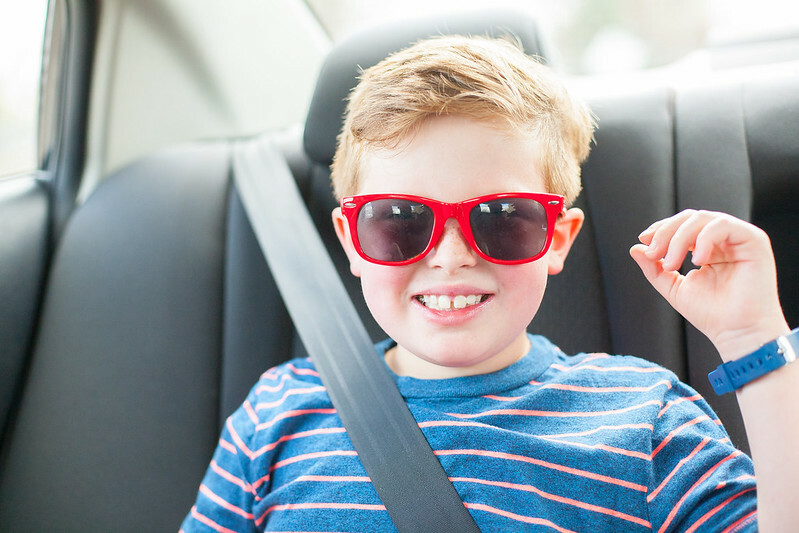 Sometimes the kids scoff a little about the idea of going for a drive but getting them out of the house almost always puts them in a better mood. One trick to pulling this off is bribing the kids with a fun snack. Sometimes I stash away something like these little Grab and Go Goldfish crackers to whip out when it's time to get out of the house. 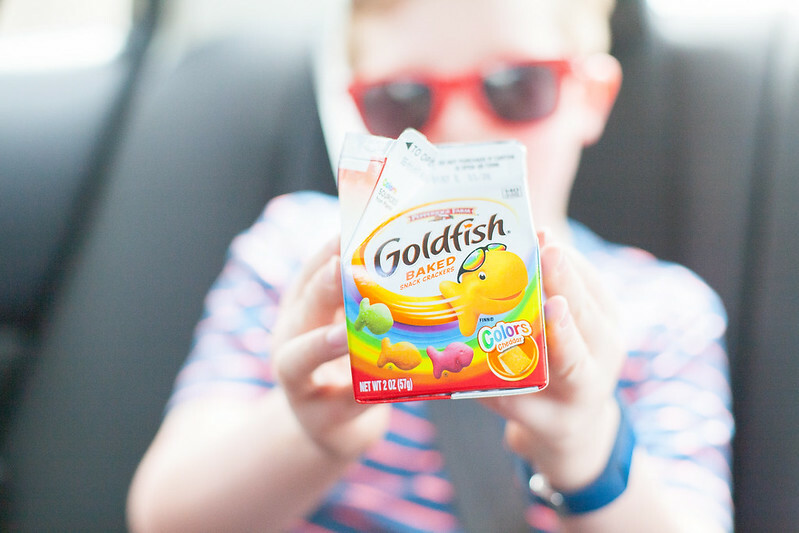 Goldfish are a HUGE staple in our family (um the Xtra cheddar is my absolute favorite) and these little personal sized cartons somehow make them seem even more appealing to my kids! 2. Movie Night: Throwing a movie night is basically parent-code for having an excuse to lay down all night, right? Sometimes we'll rent a RedBox movie or look for one we haven't seen on Netflix, put together some easy snacks and veg out in front of the TV all night. Asher is the expert at making a "bed" for us on the living floor which consists of dragging out all the blankets and pillows in the house. 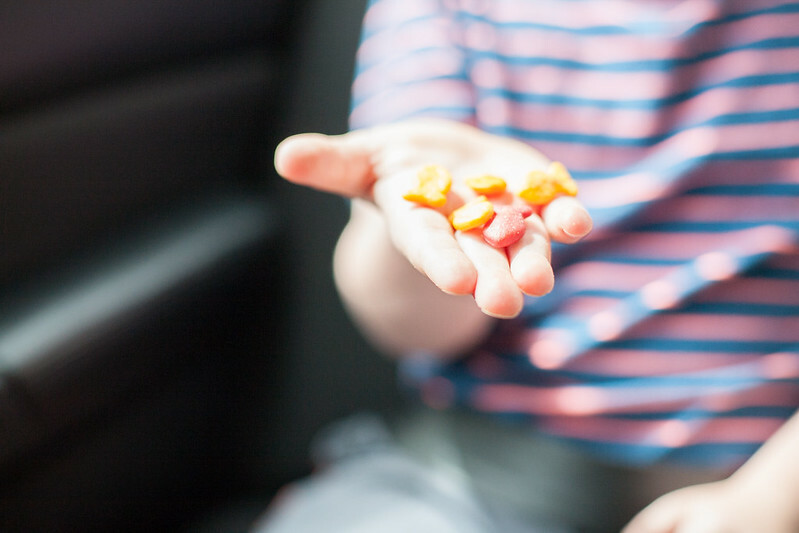 :) If you want to take it up a notch, you can take movie night to the $2 movie theater and smuggle in some snacks (here's where those Goldfish come in handy again!) for a really inexpensive night out! 3. Go to the Park: This is always a super easy/simple entertainment option. We have our favorite parks and kind of mix it up between them to keep it fun. Sometimes we go on an "adventure" to try out a new park that we've never been to! If you live in a larger suburb or city, playground options are never ending and always a surefire way for the kids to have fun. 4. Restaurant Play Place: Restaurant play places are parenting gold you guys. You don't have to feed your kids fast food for dinner to go either. (Although no shame in that game.) I usually let my kids get an ice cream or sometimes I just grab a coffee and let them play! 5. Neighborhood Walk: Taking a neighborhood walk is one of our favorite things to do. I think the old saying that fresh air is good for you definitely holds so much truth. Both of my boys are extremely talkative little guys and they love having my undivided attention on a walk when I have nothing distracting me. Sometimes I walk in between Roman and Asher while they are both talking to me a mile a minute and I honestly can't hear a word they are saying, ha! 6. Dance Contest/Party: We love to dance and we've gone through many different dance phase over the years. We used to have "dance parties" where we all jumped on the bed together and this has kind of morphed into "dance contests" where both of my boys create dances to perform on the bed and I judge. It's pretty hilarious and always so much fun! They really like when I make videos on my phone so that they can check out their movies. Yes, I let the kids jump on the beds. You only live once! 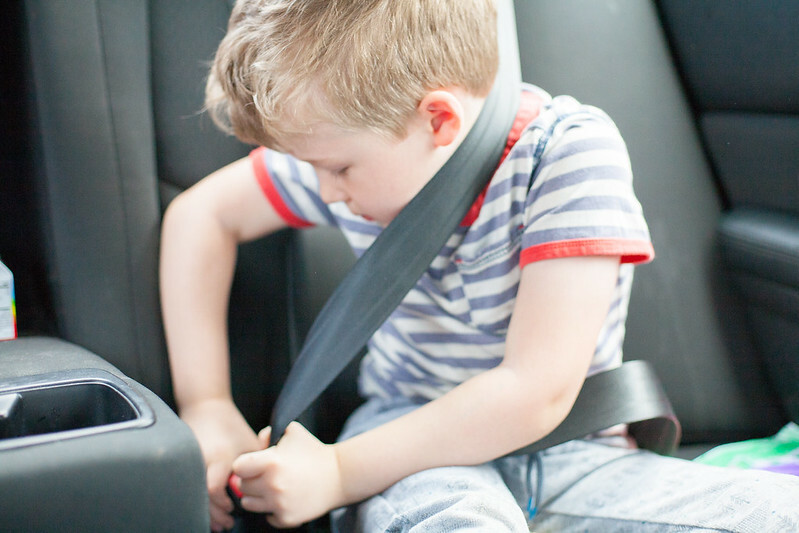 We honestly live a very simple life and luckily both of my boys enjoy doing all of the simple things I've listed in this post. I've found that the little moments in motherhood are the most important and always end up being my favorite memories as well. What simple ways do you have fun with your family in the busy seasons? Please share! Thanks to Goldfish for sponsoring this conversation! Head over to their Pinterest Page and YouTube channel for more fun family ideas! 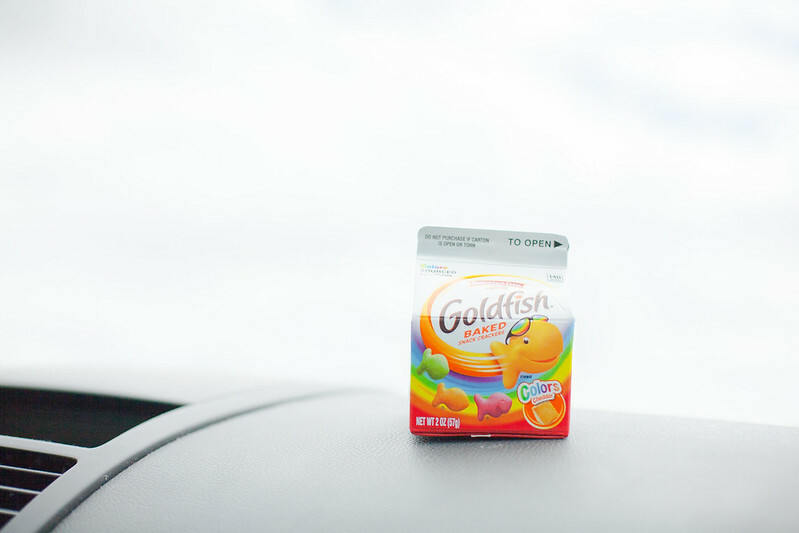 We're obsessed with Goldfish over here so I love this post! Also love the look of your blog and the photography! So captivating! Love Your Mama, Mother's Day Giveaway!